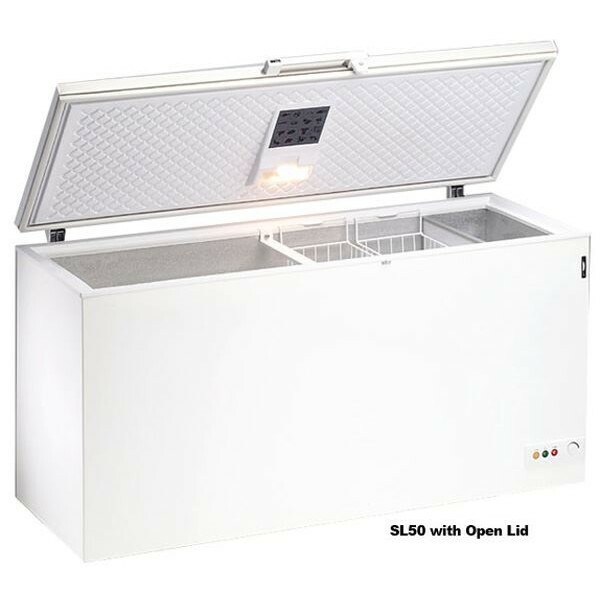 This beautiful Blizzard SL50 Stainless Steel Lid Chest Freezer is available in three sizes all with stainless steel lid, aluminium interior, interior light and castors. Have the convenience and peace of mind of knowing that any shape or size product will fit in your storage freezer with this chest freezer. Additional baskets can be supplied as optional extras.